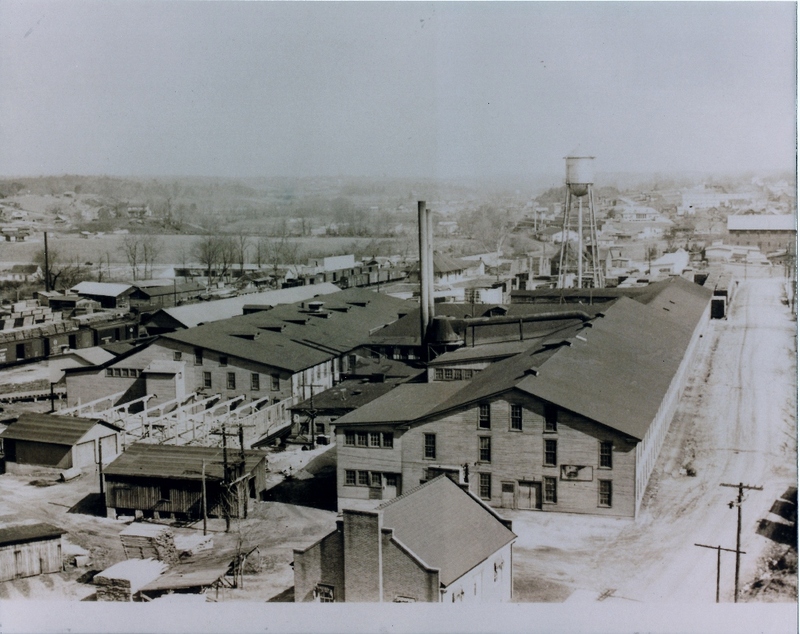 With the coming of the railroad in 1888, the area’s booming lumber and woodworking industry evolved into a number of large furniture factories. 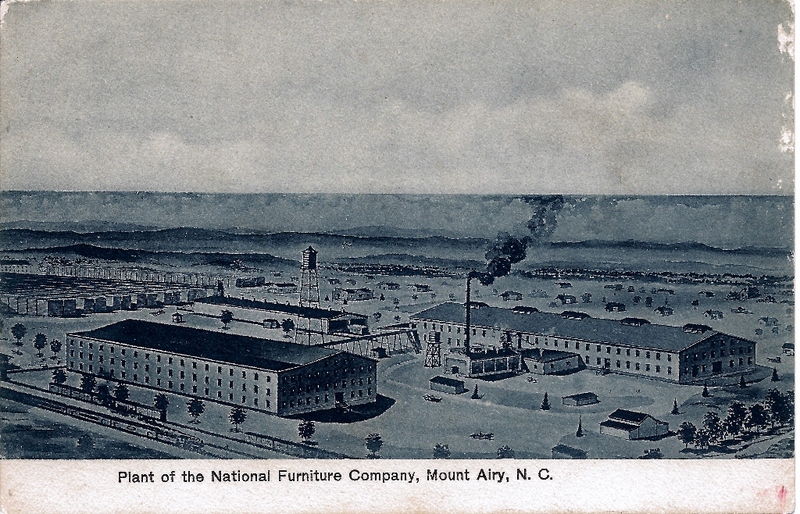 These early plants are the Mount Airy Furniture Company, the National Furniture Company and the Mount Airy Mantel and Table Company. Founded in 1895 by J. 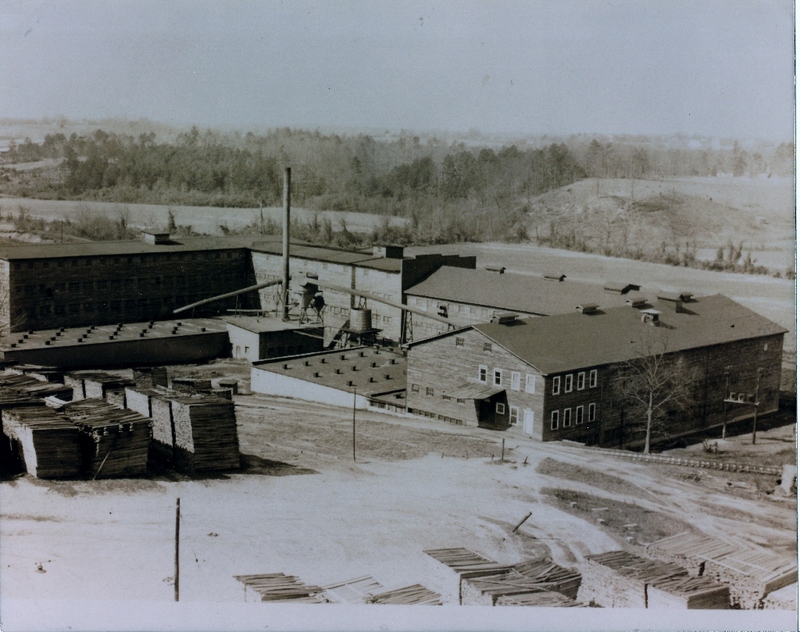 A. Yokley, J.C. Hollingsworth, C. R. Merritt, A. G. Trotter and E.H. Kochtitzky, Mount Airy Furniture, formerly on Factory Street, manufactured medium grade oak chamber suites, bedsteads, bureaus, dressers, tables, pie safes and desks. Through the years, they expanded to include dining room and occasional chairs and in 1966, it merged with the Mount Airy Chair Company which was formed in 1921 by Bruce and James Yokley. Mount Airy Chair manufactured drawing room and dining room chairs, dining room furniture and bedroom chairs. 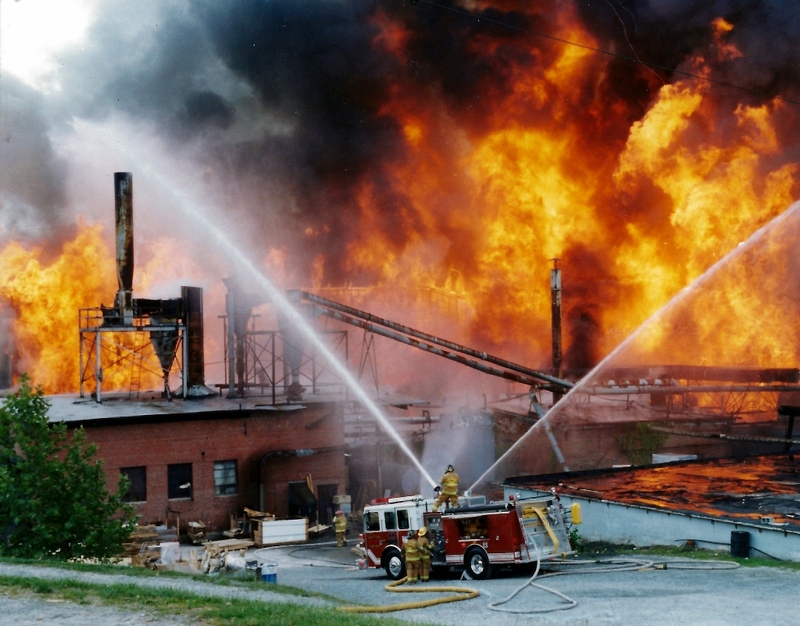 On June 9, 1997, the Mount Airy Furniture was completely destroyed by a fire. National Furniture Company formerly located on the west side of South Street between Granite Street and Roberts Road, formed in 1901 by J.H. Prather, Charles J. Whitlack, T.B. McCargo, Sr., E.C. Foy and R. L. Haymore. 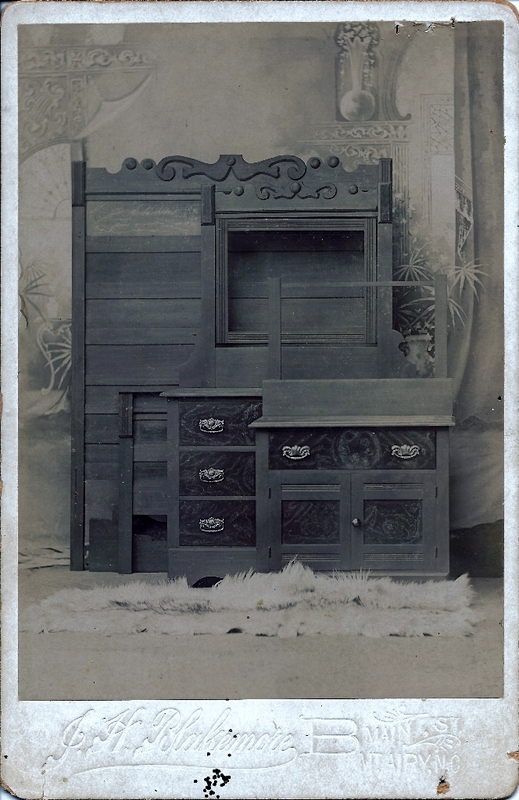 Alfred E. Smith and John Sobotta purchased controlling interests in National Furniture and continued to operate it until Smith’s death in 1929. National Furniture merged with Mt. 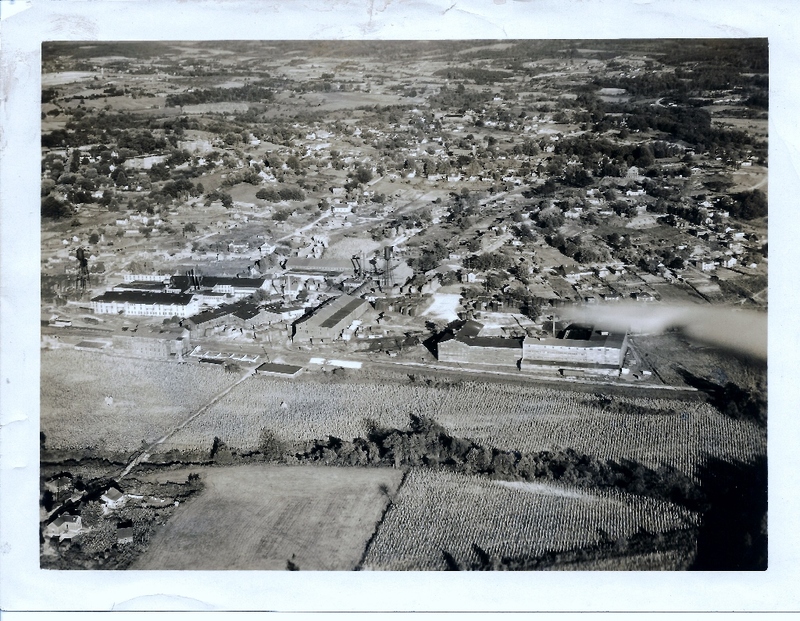 Airy Mantel and Table Company around 1974 to become National Mount airy Furniture Company and they moved from this location out to Sheep Farm Road where eventually it was bought by Bassett Furniture. Around 1997, the National name was eliminated and the company just went by Bassett Furniture. 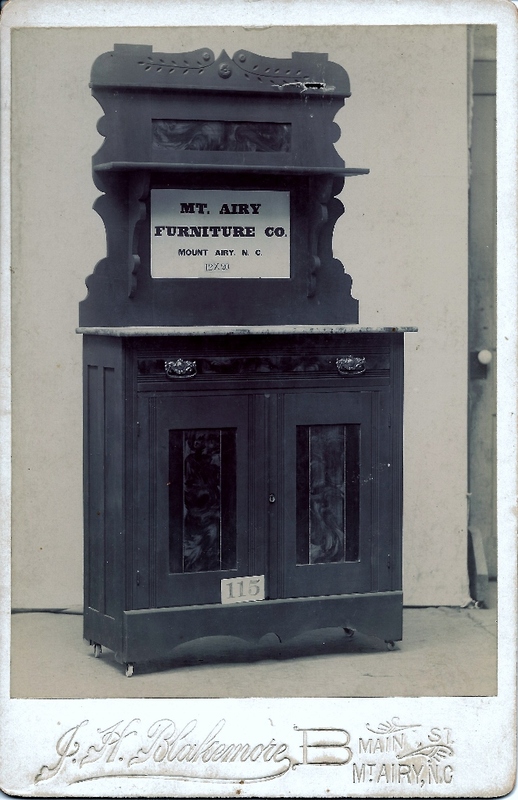 The Mount Airy Mantel and Table Company, located between South Street and the railroad, was formed in 1902 by stockholders George O. Graves, G.H. Williamson and Calvin Graves, Sr. 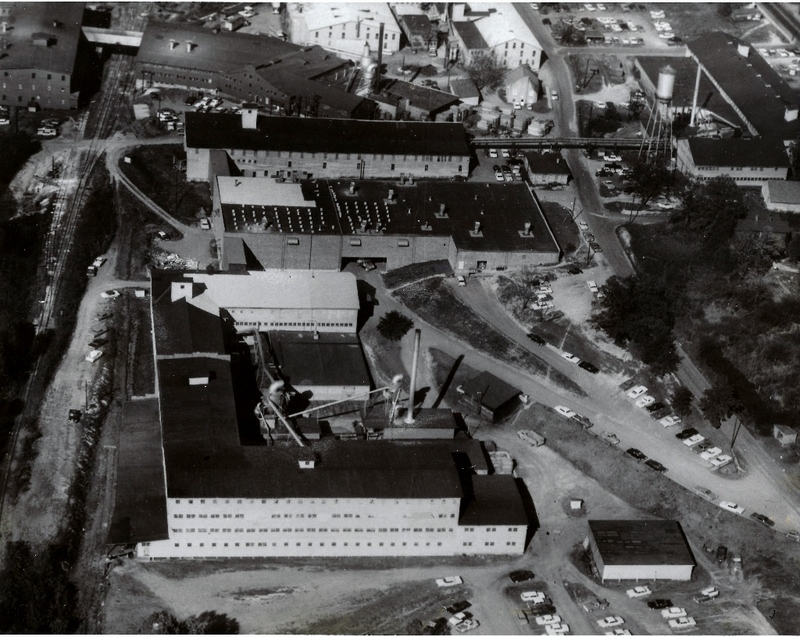 Sometime after the 1940s, the company was absorbed by the Virginia based Bassett Furniture.